The powerful 2016 Ram 2500s have finally arrived and they’re making waves with their awards. This heavy duty pickup proudly supplies you with the necessary amount of power and the proper driving tools to ensure you can get the job done. The capable Ram 2500 was named the Heavy Duty Pickup Truck of Texas by the Texas Auto Writers Association making this truck a great option for our Tomball Area drivers. You’ll quickly notice the power behind the wheel when you get your first taste of the Standard 5.7L Hemi V8 Engine. Your max towing will be a generous 17,980lbs for a max payload of 3,990lbs giving you no doubt that your towing abilities will not be in short supply. If your lifestyle or workload begs for more, Ram’s got it with their 6.4-Liter V8 Mid Duty Hemi MDS Engine which will boost you to 410 HP. For those who need the most powerful engine, we suggest testing the 6.7-Liter I6 Cummins Turbo Diesel Engine which will give you the unruly torque of 850 lb-ft. The 2500 is ready for work and so is the class exclusive Ram Box Cargo Management System. The Ram Box gives you additional secure storage which can be opened remotely. When you’re not using the bed extender/divider, bed rails with four adjustable tie-down cleats, or the additional secure storage for gear, you’ll be able to securely store your cooled beverages in the Cargo Box with the drainable storage. Ram will also supply your 2500 with driving assistant copilots like Park Assist which equips your pickup with six additional sensors which will warn you when you’re in close proximity to an object in front of you. Also available on the 2500 is the Cargo View Camera which will allow you to see into your truck bed through the screen in the dashboard display console. If bed visibility is important, you may want to consider the available Box Lighting which will illuminate for easy loading and unloading or act as a work lamp if you’re caught working past dark. If for some reason you’re having difficulty seeing behind you, Ram also offers the ParkView rear back up camera so you’ll have that extra set of eyes in limited visibility situations. 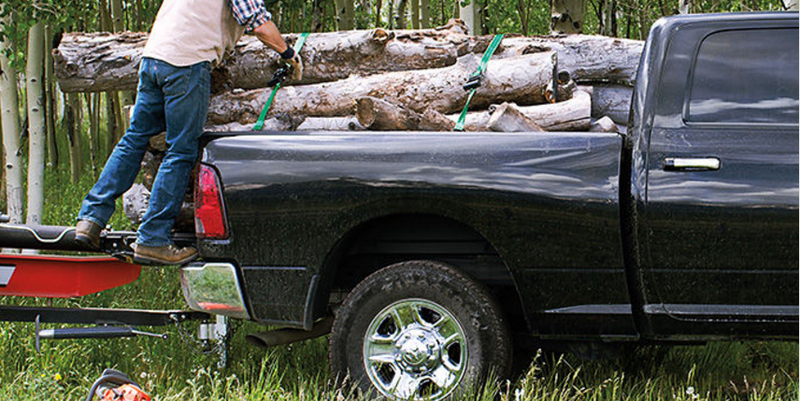 Whether you’re driving the durable 2016 Ram 2500 for work or relaxation, it’s built to last. Ram tests their heavy duty pickups in the extremes so they can perform reliably in the environments where their owners live. Ram’s all new 2016 will be backed by the unsurpassed Powertrain Limited Warranty of 5-Year/100,000-Miles to back our diesel powered trucks and 5-Year/60,000-Miles warranty for our gas-powered pickups so you’ll always have a ride as durable as you. Whichever Ram 2500 you’re interested in, Tomball Dodge Chrysler Jeep Ram is ready to help. Contact us through our low stress forms and we’ll let you know shortly how we can help prepare the vehicles you’re interested in for a test drive. We proudly serve the greater Cypress, Woodlands, and Houston, Texas Areas.